They sit in the background, quietly out of the way most of the time, never noticed until the moment when something goes horribly wrong or so it may seem. Unless properly maintained they may be rusting, gathering dust on the outside and sludge on the inside. A fire sprinkler system has many components, a back flow preventer, two main valves, fire sprinklers, gages, piping, alarm bells, sirens, main drains, inspectors test valve, earthquake bracing and may contain antifreeze, compressors, pumps and so on. Back flow devices are required to be tested yearly. Valves should be opened, closed and lubricated yearly. 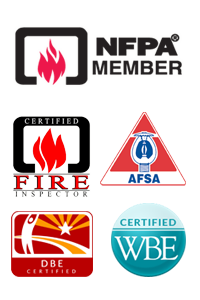 Fire sprinklers need to inspected for damage, loading, leaking and age yearly. Gages need to calibrated or replaced every five years. Piping needs to be flushed when the inspection determines a need. Alarms should be tested monthly, quarterly and annually. Inspectors test yearly or more often. Antifreeze needs to be tested before freezing conditions each year. Compressors should be checked monthly and serviced yearly. Fire pumps should be tested and serviced annually. 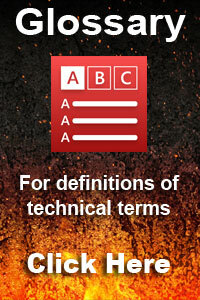 The fire sprinkler system needs to be inspected for damage, potential freezing exposure and available supply source. Training should be a part of any inspection. If the inspector does not offer, have them show you how it works and how to shut it down after an emergency. Never shut down a fire system until you have confirmed the fire is completely out.